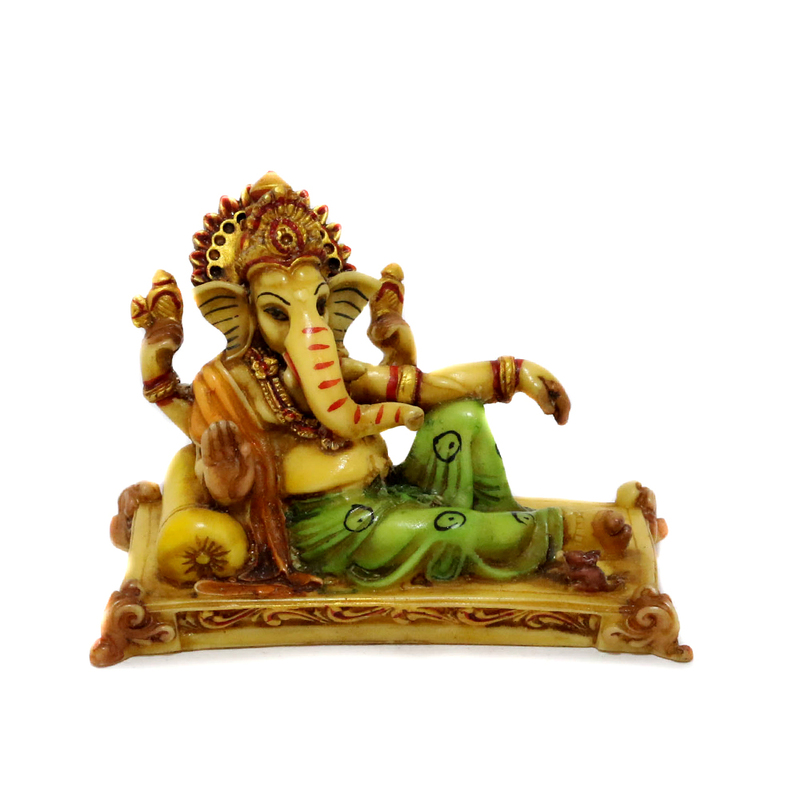 this piece of Ganesha is something which can be admired by anyone, whether religious or non-religious. The idol is made out of marble sawdust and Read More..is depicted in a resting position which makes it very unique. The idol is shown to be blessing with one hand raised on a low cushion like structure. Show Less..